Chicago Web Management makes web management simple. Whether your business already has a website, or you’re taking your first steps toward doing business online, the experienced designers, developers and specialists at Chicago Web Management can help. Web Development and E-Commerce is all we do and many of our clients think of us as their on-call webmasters. 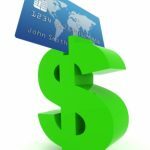 Start taking credit cards on your web site now! We are proud to offer credit card processing for our clients through our affiliation with Square. We use square’s payment gateway system and for 2019, we are updating our systems to be fully PCI compliant. This protects our clients against fraudulent transactions and ensures the safety of sensitive credit information. We’ve worked with clients at all levels of internet development, from low cost, informative sites that generate interest and relationships, to full Online Commerce sites with shopping carts and online payment. Our personal approach means you get a solution tailor-made to your goals and budget. Give us a call at (773) 213-7747 for a free web site analysis. This web analysis will give you a clear assessment of your web site and will show how Chicago Web Management approaches Online Commerce and Web Development. Tight budget? Short timeline? Need help? You’ll meet directly with one of the principals of our company to determine the scope and budget for your project. You’ll receive expert advice and world-class web development. From hosting and email solutions, to content updates, domain configuration and search optimization, we simplify every step of the process in management of your web site. Our rates are hourly based and you only pay for what you need. Our job is to make your business work great online! Call (773) 213-7747 or email us for your free consultation, and see how Chicago Web Management can help you maximize your web site. Keep Local Business Thriving!